Green is the colour of life, giving a feeling of freshness and tranquillity. 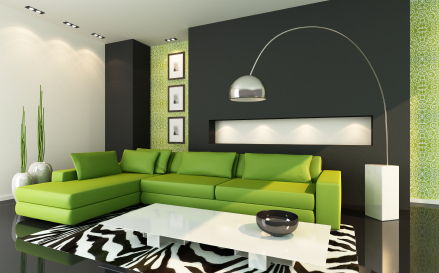 Green is found midway on the colour wheel and so can be seen as warm or cool, depending on the rest of the colours in the room. With blues and violets it will appear cool, but with reds and yellows it will be warm. Window blinds in particular are a very effective way to introduce just enough of a bright green for it to become the dominant colour, looking especially attractive linked with an accent colour such as off-white, cream or pale yellow. 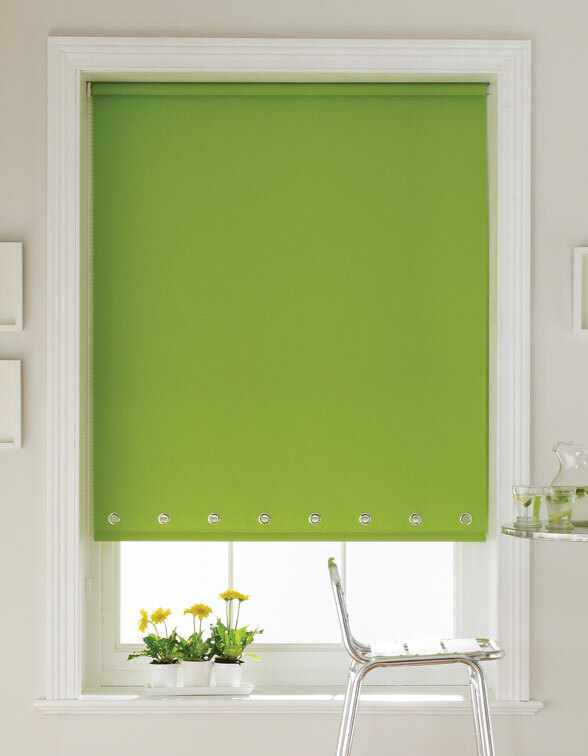 This roller blind introduces just enough of the stunning lime green to compliment the wall tile detailing. A palette of green with neutrals creates a perfect mix, ideal in a bright full on green for a modern home, or used with other bright colours for a fun child’s bedroom. Bright green and white makes a particularly attractive combination for bathrooms, the vivacious colouring ensuring that your bathroom is anything but boring even if its small. 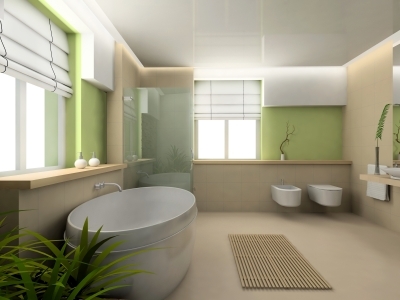 Plants of course thrive in bathrooms and will add warmth to the crisp cool look. Pale green can be quite romantic and makes an ideal background colour to be carried through the entire house, using a variation on the same colour scheme in each room gives a pleasant impression of continual space. 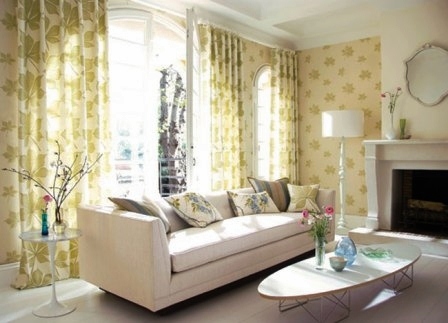 Soft Greens and Creams make the Perfect Combination for Curtains, Wallcoverings and Blinds.